Email us with any questions or comments you may have about our site or our products. 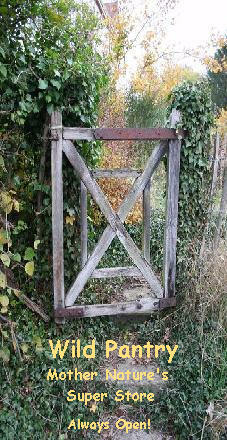 Open the gate and come on in. Mother Nature's Super Store is Always Open Just For You! Scroll down page to the products list. Information presented has been gathered randomly from other websites from the literature on plants that have been used for health related purposes in the past. Please do your own research if you have any questions relating to the uses of any plants. Our herbal products are not intended to diagnose, treat, cure, or prevent disease. Consult your own physician regarding the applicability of any opinions or recommendations with respect to your symptoms or medical condition. Our herbal products have not been evaluated by the USDA and there is no current standard on the potency of any plants used as "food" supplements...Please read this article concerning plants used as herbs. Herbal Medicine in the United States: Review of Efficacy, Safety, and Regulation Grand Rounds at University of California, San Francisco Medical Center. If you have any questions about any our products please give us a call at (423) 371-1518 (cell) or email us at your convenience. Most of our herbs are gathered in Tennessee and have the Pick Tennessee approval. WE NO LONGER OFFER USPS EXPRESS MAIL / OVERNIGHT DELIVERIES FOR ANY PRODUCTS. WE NO LONGER SHIP INTERNATIONAL ORDERS FOR THE SAME REASON. IF YOU WANT AN INTERNATIONAL SHIPMENT, YOU WILL HAVE TO SEND US AN EMAIL STATING THAT YOU RELEASE US FOR RESPONSIBILITY OF REFUNDING PURCHASE OR RESENDING YOUR PACKAGE. International Orders - read before ordering! We cannot guarantee delivery of International orders. Once a package leaves the United States we have NO control over that package. International orders are usually shipped Priority International with our US Postal Service. Please note that you order at your own risk. If package is lost, hung up in Customs or missing and not delivered we have no control over it and will not replace all or part of the shipment at our expense.... If you want another order you will have to pay for the order, plus shipping as we cannot refund International orders that go astray. Also be aware that customs often takes a sample of agricultural or plant products for testing for insects and other foreign materials. If your order one ounce of a specific herb or product and customs wants to analyze part of that, you probably are not going to be happy with what you receive after they take part of that order. Sorry, but we have no control over what your country's customs agents do to incoming orders from other countries. Herbs may not appear in alphabetical order. Prices can change at any time as we update our site when time is available. Please email us if you have any questions regarding prices.
. Discontinue use if you develop a rash or allergic reactions. If you suspect you are infected with lyme disease, please see a physician who can give you a medical test to confirm whether or not you have been infected. Lyme disease is a very serious disease with many complications. You must be 18 to purchase this product and must be willing to give us a call first. Wild harvested in Tennessee U.S.A.
Loveage uses are many. You can do a Google search for info. You have to be at least 21 years old, a registered doctor, nurse, or herbal practioner. You must prove your identification. **You must be at least 21 years old to order this herb, or a licensed practioner, or a licensed herb dealer. 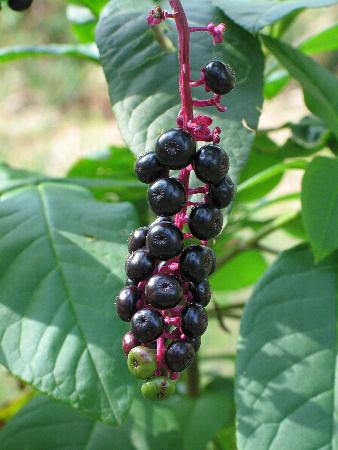 This herb is extremely poisonous and can be fatal if ingested. This herb is for external or ceremonial use only and not for internal use. You may be asked to provide a photo ID. TOXICITY RATINGS: Moderate to high. Contains the alkaloid Coniine, Methyl-coniine, Conhydrine, Pseudoconhydrine, Ethyl piperidine, mucilage, a fixed oil and 12 per cent of ash. ANIMALS AFFECTED: All animals may be affected. Grazing animals, swine and animals that may eat the seeds (especially poultry) are more at risk than pets. 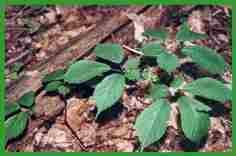 DANGEROUS PARTS OF PLANT: All parts, especially young leaves and seeds. CLASS OF SIGNS: Nervousness, trembling, incoordination, depression, coma, death, birth defects. There is no known antidote. Seek immediate medical assistance. Do not use ipecac during gastric decontamination because of risk of inducing seizures. Please email us if you have a product suggestion or need more information about the products listed here. These statements have not been evaluated by the FDA. The information on this web site is not intended to prevent, diagnose, treat, or cure any disease. We specifically recommend that all wild plants, herbs, herbal extracts, herbal salves, herbal tinctures or herbal products be taken under the direction of a health care provider. The FDA has not evaluated statements. Our herbal products are not intended to diagnose, treat, cure, or prevent disease. Consult your own physician regarding the applicability of any opinions or recommendations with respect to your symptoms or medical condition.